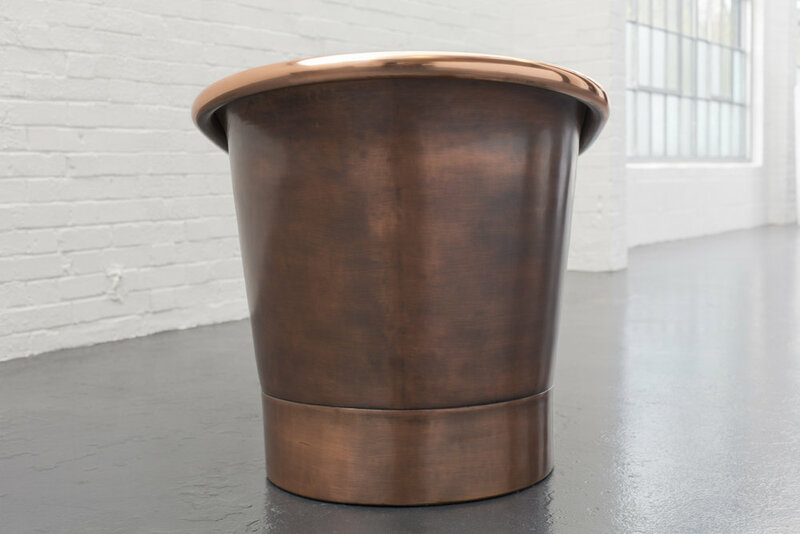 With the combination of two surfaces for both exterior and interior, our copper baths really do transcend luxury. 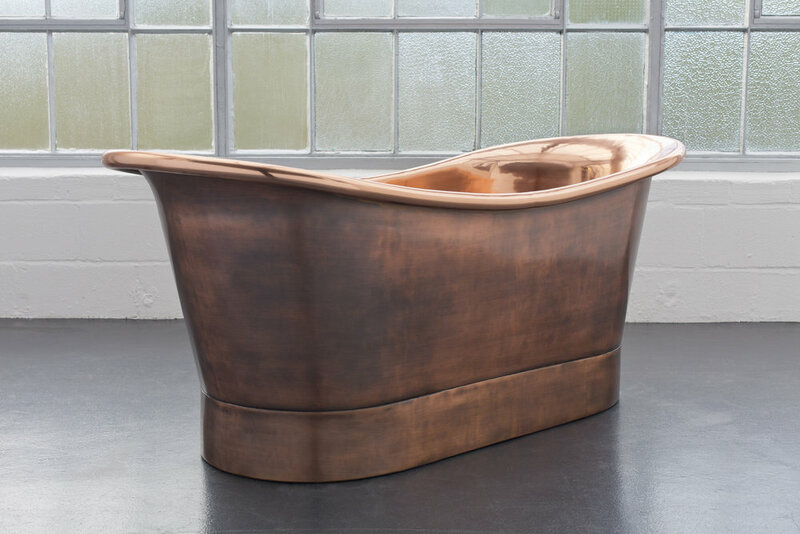 Our Dart Copper Bath is no exception, it’s simply beautiful and its simplicity does not detract from its sophistication and clever craftsmanship. It’s handmade with all the focus, love and attention you’d expect from a bath of this standard. Here at London Encaustic we take so much pride in all our baths, making sure to take all the important elements into consideration, size, comfort, aesthetics and functionality. 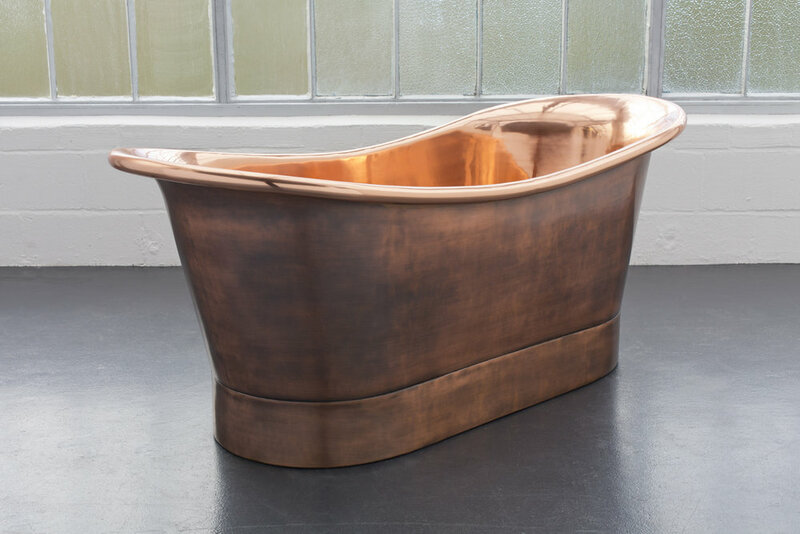 Using high gauge copper and a beautiful high polished exterior the Dart bath has elements of Dickensian quaintness alongside an industrial beauty that fits right in with a modern setting. 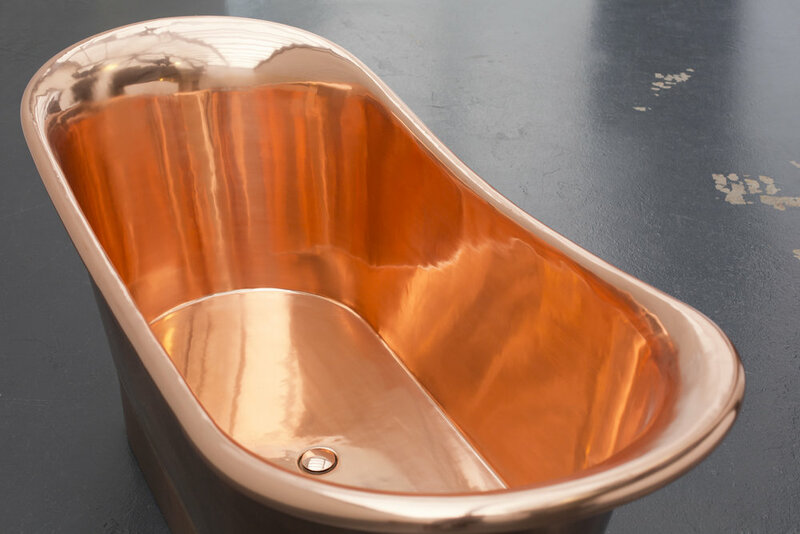 Whether your bathroom decor is modernly minimalist or thoroughly traditional, the Dart Copper Bath will be the focus of the room, the piece de resistance of any bathroom. This stunning hand made bath comes in the standard size of (l)1700mm x (w) 705mm x (h) 710. However, if you need a bath outside of the standard range, we’ll create one specifically to your requirements, taking around 8 weeks to manufacture and deliver.